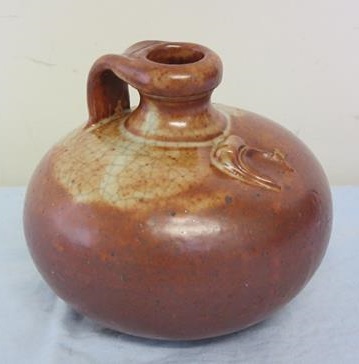 A fabulous shino poison bottle made by Chris Cockell - from a private collection. Chris never marked his work that I know of, so it's great to find someone who personally bought his work. Photos courtesy of Manos who has been finding some great examples of Chris Cockell's work lately. 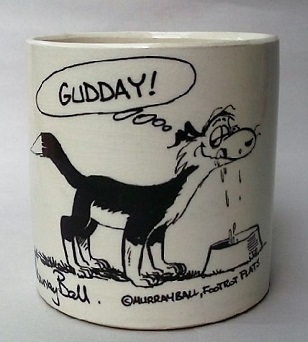 I was delighted to see those pictures oftThis potters work. 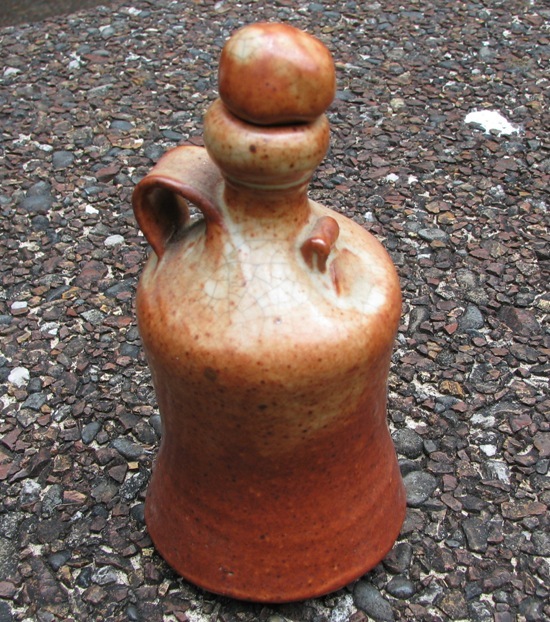 I have three jugs clearly by him and have wondered for years who made them. They are the only unmarked pots I own and make an extremely beautiful group. Can you tell me anything about his life and where he worked? All I know is that he was born in 1947 and died in 1972. Thanks, Dave. 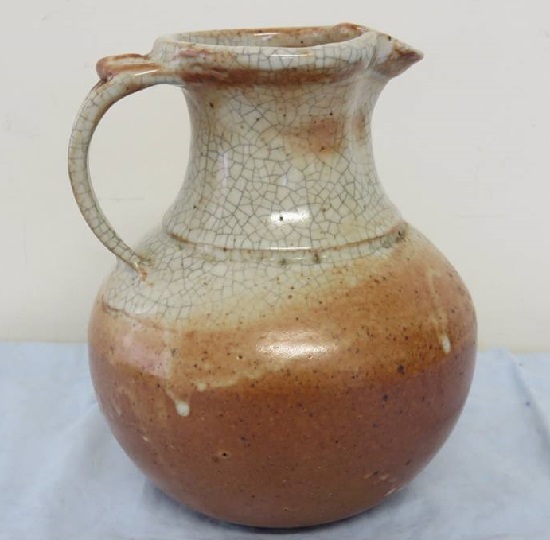 I remember Chris's work from when I first started potting and admired his wonderful style and his use of Shino glaze which is still one of my favourites thanks to him. Tks Ev. I had no idea Jan was his wife! I have only ever seen one of her pots - a beautiful little object I promptly bought! Admittedly when I saw Manos' post the the co-incidence of the same name did cross my mind. I followed the posts you gave me and discovered the one thing I knew about Chris. was wrong! That he died in 1972! LOL Perhaps that is when he was born?!? 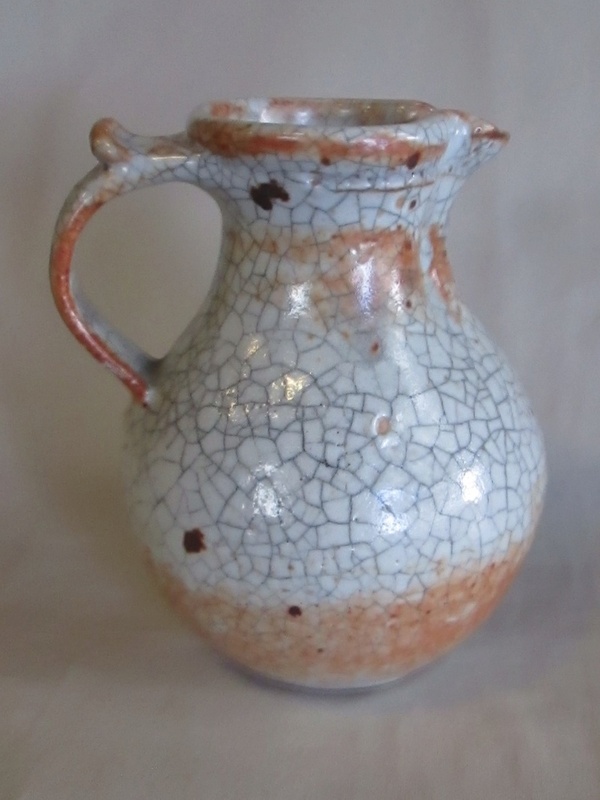 I have made a friend request to Jan so hopefully will get more info.Finally, I will photograph the jugs I have and will see if I can send them to the forum. It might pay to ask Jan Cockell if that jug is the work of Chris, as I'm not sure that the flick on the handle is the same Kat.